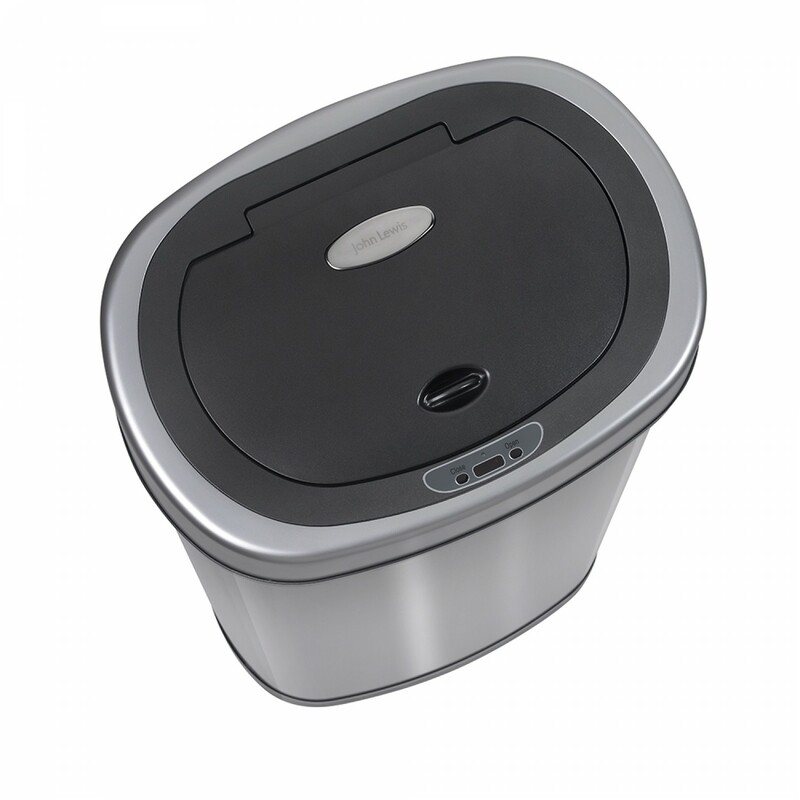 Our 50 Litre Bin 'Oval' motion activated sensor autobin is at John Lewis stores around the UK. The Oval's brushed stainless steel body and ample capacity has quickly seen the Oval series become our best selling kitchen bin in the UK. 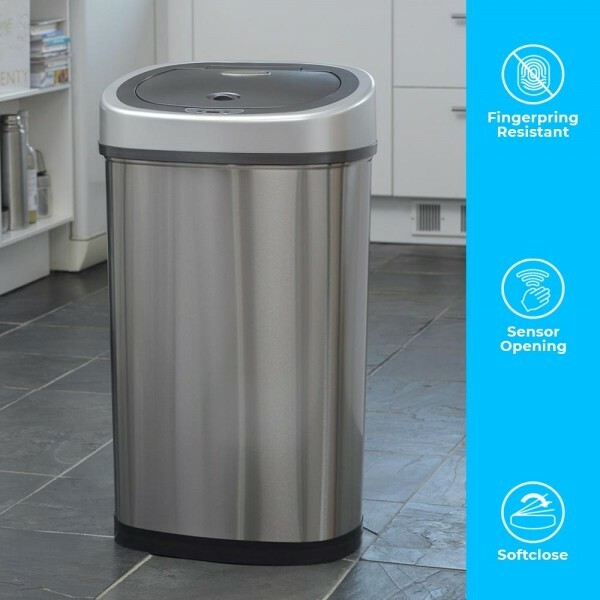 Competitively priced and designed to make your life easier, the 50 Litre Bin, Oval Autobin is one of our best sellers, and it isn’t hard to see why. Using our innovative infra-red smart technology, this is so much more than just your normal 50 litre kitchen bin. 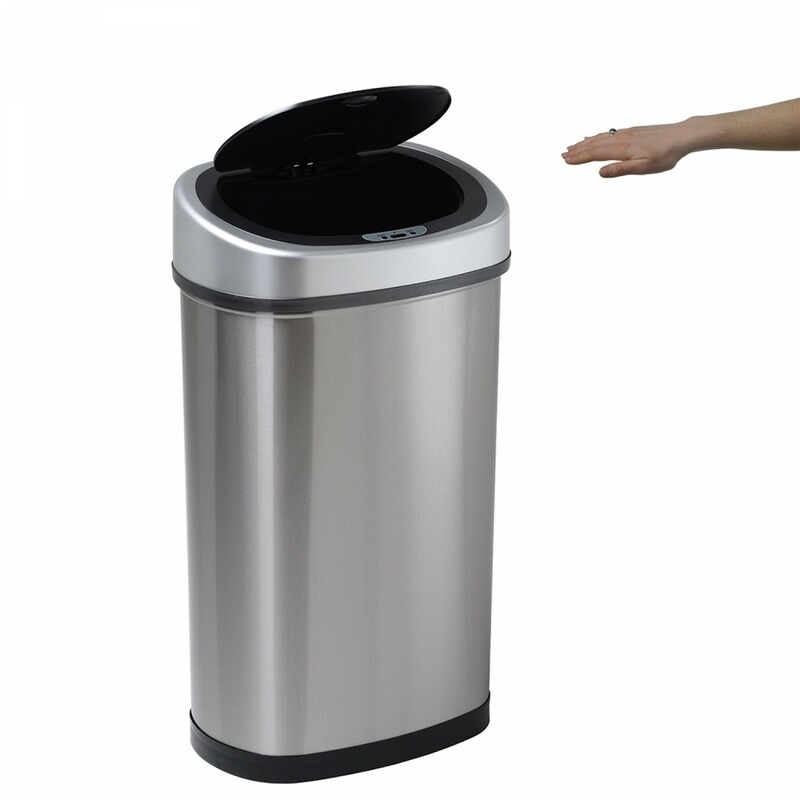 A simple wave of the hand is all it takes to open the lid so that there is no need to make physical contact with the bin to make use of it. As well as the clear benefits to this touch-free technology in terms of hygiene, it also enables you to keep your hands free to manage the waste you want to dispose of. The lid closely tightly after 3 seconds (or you can bypass this with a manual control button which will enable you to hold the lid open for if you need to, simply pressing the button again recloses the 50 litre kitchen bin) and our patented Silenx technology means it is quiet and unobtrusive when in operation – no noisy squeaks or clatters like you might get with a swing or pedal bin. A tightly fitting lid enables you to maintain a cleaner environment, with no odours escaping; all resulting in a more pleasant space. As well as the smart technology that enables you to open the bin hands-free, our bag retaining ring is another way in which we have used every tool at our disposal to make all our automatic sensor bins as efficient as possible. The ring holds the bin liner inside the bin so that it doesn’t slip. How often have you had to deal with a bin liner that needs held up by the lid of the bin, leaving unattractive edges hanging over the edge of the bin, or resulting in bags slipping and causing spills. It all leads to messy-looking, unhygienic waste disposal that then must be changed awkwardly. The bag retaining ring eliminates all of this, making it easier than ever to change the bin liner and get on with other things! With a 50 litre bin capacity, this is one of the larger bins in the range – check out our other sizes for a bin to suit every need. We have found the 50 litre oval to be a particularly versatile example of our range. From use in schools and nurseries, doctor’s surgeries and hospitals, to use within the home or workplace, feedback tells us that people are benefiting from this clever solution to an essential problem – how to manage waste efficiently and hygienically. 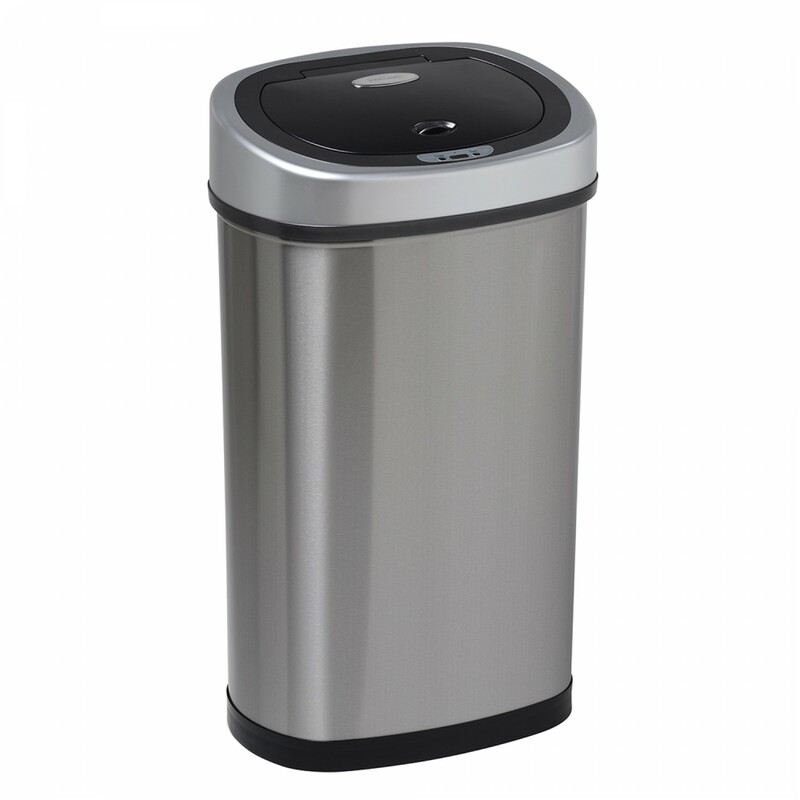 In our popular oval shape, this 50 litre bin has a stylish aspect that is made all the more by the brushed stainless steel finish that makes it look modern yet muted; perfect for any style of décor or context.